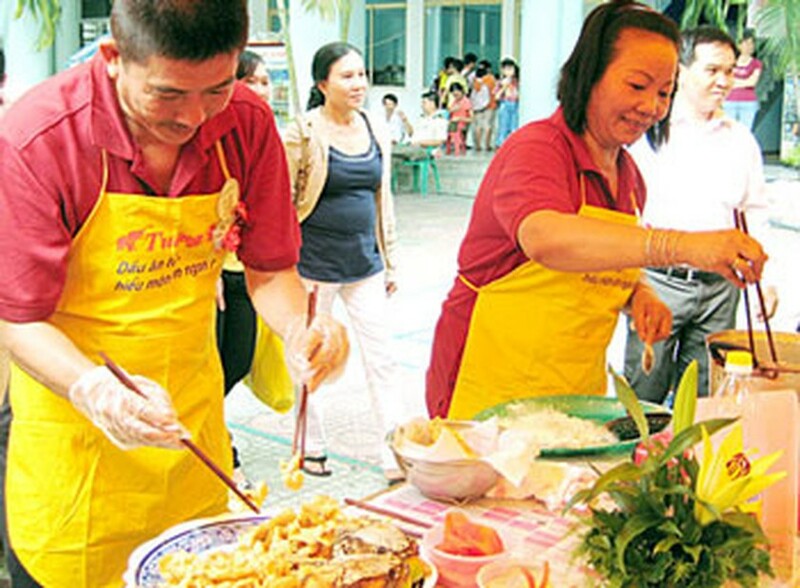 The Vietnamese Family Festival 2011 will take place from June 25-28 in Hanoi to celebrate the 10th anniversary of National Family Day (June 28). The festival, entitled “Practical Actions to Build Happy and Sustainable Families”, is being jointly held by the Ministry of Culture, Sports and Tourism and the Hanoi municipal People's Committee, the ministry told a press briefing on June 23. The four-day event will include an exhibition showcasing achievements of Vietnamese Family Day during its decade-long history and many books designed to promote a reading culture and encourage people to build their own family libraries. A number of traditional handicrafts, together with paintings on the theme of “Say ‘No’ to domestic violence” by capital children will be also on display. There will be a wide range of seminars focusing on health care for families and the community. Within the framework of the festival, which will be held at the Vietnam Exhibition Centre for Culture and Arts, participating families will have a chance to engage in numerous cultural and sporting activities.